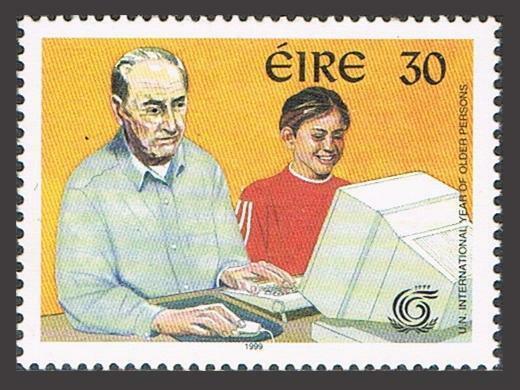 Ireland 1181,MNH. Year of the Older Persons IYOP-1999. Ireland 1181, MNH. Year of the Older Persons IYOP-1999.The scans used for my images are from my picture's library and sometimes don't apply to the actual item. If you need the actual item scan please request. $0.05 shipping for each additional eligible item you buy . For domestic purchases up to $60.00 first class mail will be used; purchases above $60.00 require mail with tracking number or insured mail (buyer pays the mail fee). For international purchases up to $60.00 first class international airmail will be used; purchases over $60.00 require mail with tracking number (registered mail, buyer pays the $17.00 or $18.00 for oversize item). Warning for the buyers from Eastern European countries, Russia, China, Middle East, South Asia, Latin America, Africa exclude RSA, and the buyers with Hip ID less 100: the purchases over $30.00 require expedited mail. 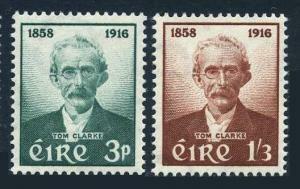 Ireland 165-166,MNH.Michel 136-137. Thomas J.Clarke,1859-1916,patriot. 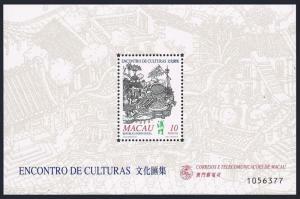 Macao 1009,1009a,MNH. Meeting of Portuguese and Chinese Cultures 1999.Fort. 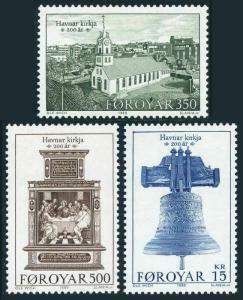 Faroe 186-188,MNH.Michel 179-181. Havnar Church Torshavn,200th Ann.1989. Cambodia 645-651,652,MNH.Michel 722-728,Bl47. 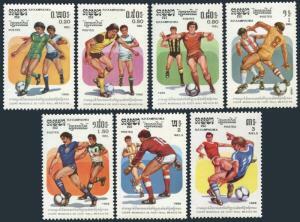 World Soccer Cup Mexico-1986.